Represents file uploaded to the application. 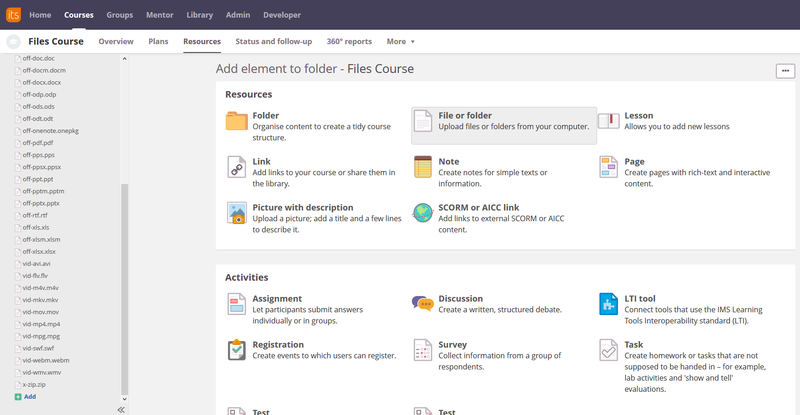 Files can be uploaded in various ways, including course elements (File-type course element), attachments, profile images. All files uploaded to the application are present, including files in courses, profile images, etc.